This is a relatively small hopper. The difficulty was in loads, as it is designed to be “buried” under 8m of gravel. Since there are no studies of how loads are distributed in such cases an intensive study was performed. 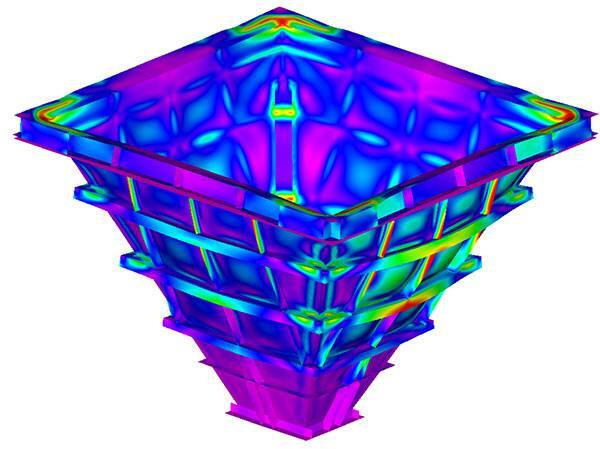 When the load was established structure was optimized with nonlinear FEA. 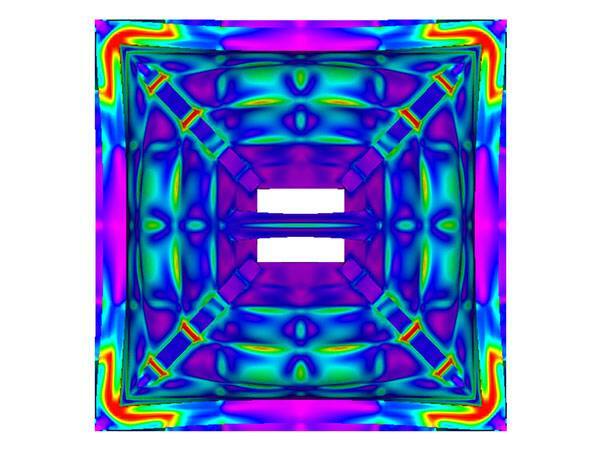 It is worth mentioning that I used this example to make a case study about boundary conditions on our blog.